It’s been weeks since I last saw our London garden in the daylight. At first glance there is not a lot to behold except jaded foliage and bare earth. Closer inspection reveals plenty of flowers, ranging from fragrant Sarcococca ruscifolia (sweet box) and fragile Primula vulgaris ‘Taigetos’ to arching Fuchsia microphylla and graceful Galanthus elwesii. Queen amongst today’s blooms is a deep purple seedling belonging to the Helleborus x hybridus ‘Bosvigo Doubles’ group, which I call ‘Blackberry Fool’ for my own amusement. Sumptuously ruffled flowers are held proudly above last year’s foliage, appearing far too rich and exotic for the Spartan month of February. With luck they’ll keep coming until the end of March, when they will begin fading to dull red and then green, perhaps producing a seed pod or two if I am lucky. The appearance of these lustrous blooms reminds me that it’s only two weeks until Bosvigo Hellebore Day, from whence this regal beauty came. 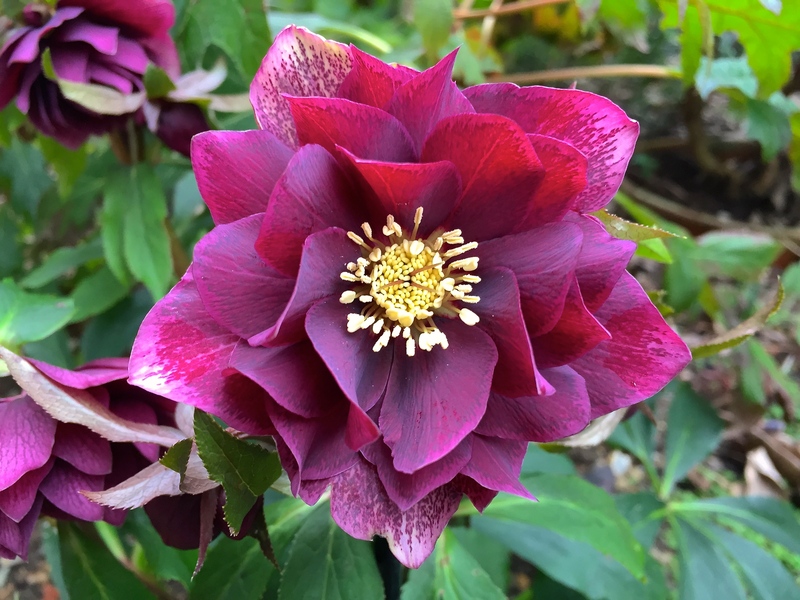 Bosvigo’s owner Wendy Perry is famed throughout the South West for her beautiful garden in Truro and for her expertise when it comes to breeding the most gorgeous hellebores. If you fancy getting your hands on one or more of her exquisite seedlings then rock up at Bosvigo on Saturday February 21st and be prepared to be decisive – the best ones don’t hang around for more than the first five minutes. Larger, choicer plants command high prices (from memory ‘Blackberry Fool’ set me back £14) but there are plenty of modestly priced singles and semi-doubles if you are looking to fill a big space. With such a small garden I tend to go for quality rather than quantity, so I intend to splash out on a couple of the very best this year. This year’s event will be opened by Jake and Freddie Perry and proceeds from the wonderful refreshments (irresistible even at 10.15 in the morning), raffle and donations will support local charity Shelter Box. As well as the sale, Bosvigo’s gardens will be open. 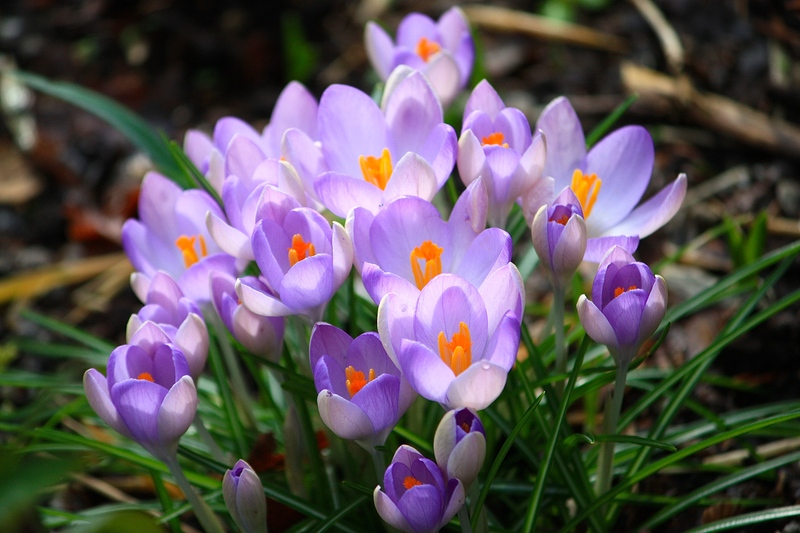 Visitors can expect camellias, crocuses and snowdrops in abundance, as well as lots of fine hellebores in shades of white, lemon yellow, pink, red and purple. As you walk around, look out for hellebore blooms with lengths of coloured wool wrapped around their necks. These indicate Wendy’s hybridising work and will soon bear the seed that in three to five years will produce plants for this unique sale. 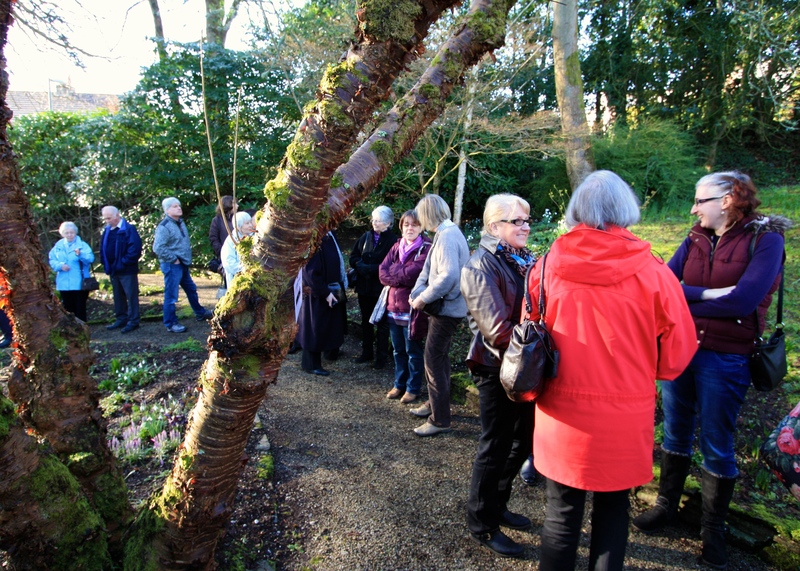 Bosvigo Hellebore Day commences at 10am on Saturday February 21st with gates opening at 9.30am (and the queue starts then). The gardens close at 4pm. There is limited parking in the drive and outside on Bosvigo Lane. 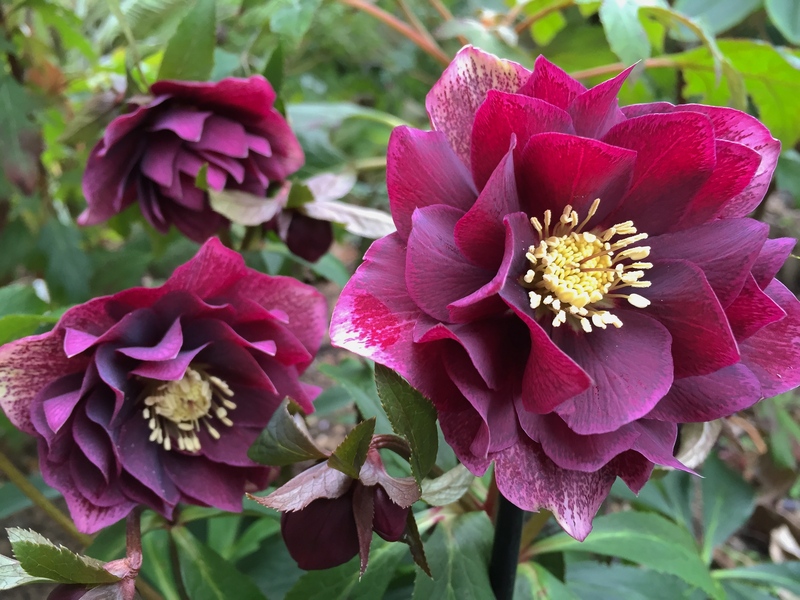 Click here for more information and keep an eye out for The Frustrated Gardener – I’ll be the one with my elbows out, a baby niece in tow and a couple of fine hellebores in each hand! An exceedingly well spent £14, I feel. That first photo is incredible! Hope you find some great new gems on 21st. 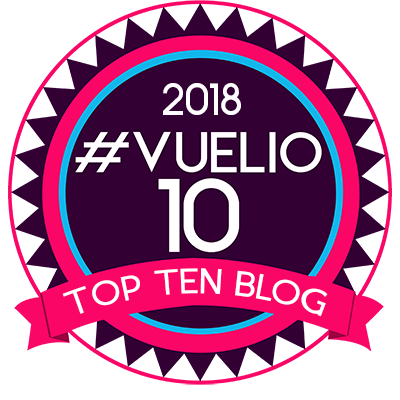 I have very vivid memories of a wonderful Bosvigo visit when I was pregnant with my daughter – who turns 18 this year – so it must have been pretty special then, and I understand it’s developed significantly since. I’d love to return, particularly for Hellebore Day, but sadly not this year. Enjoy! I hope you get the opportunity to return to Bosvigo. It’s great fun and there’s a wonderful atmosphere on Hellebore Day. It’s busy, but in the nicest possible way. Really kicks off the gardening year for me!